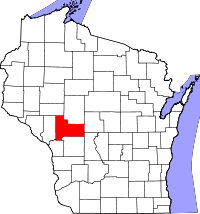 Jackson County in west-central Wisconsin offers access to more than 200,000 acres of public recreational land, excellent schools, parks, community centers, community hospital and affordable housing. It’s the perfect place to live, work and play! We have more than 100 acres of industrial park land with water and sewer and railroad access that is close to I-94. Come and check out historic downtown Black River Falls and our other county communities like Alma Center, Hixton, Melrose, Merrillan and Taylor. 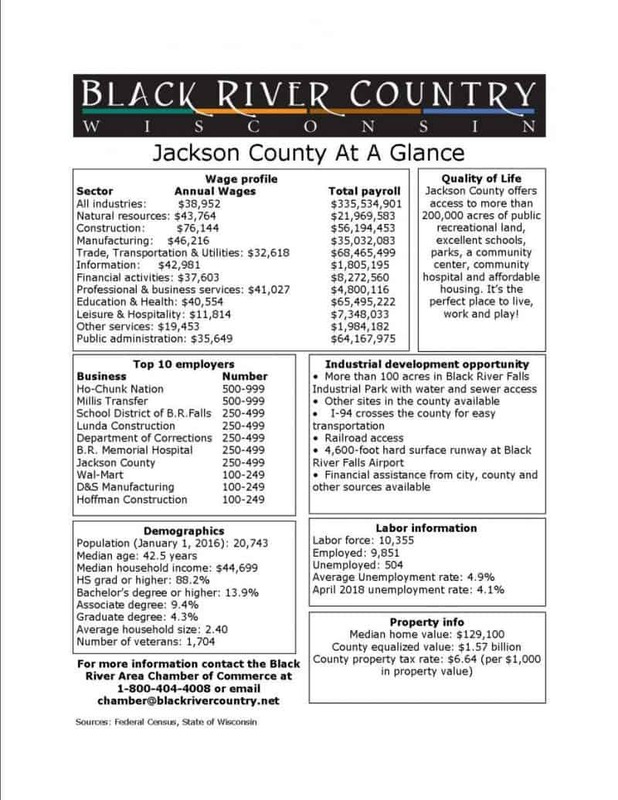 The Black River Area Chamber of Commerce posts links to commercial properties for sale or rent in Jackson County. There are several economic development initiatives underway in Jackson County, including a Jackson County Economic Development Committee. Information about loan assistance is here. The Black River Falls Downtown Association also offers some programs for business. Contact the Black River Area Chamber of Commerce if you have additional questions.